Have you thought about where you’d like to spend your first few days as a married couple? If you’re looking for something a bit different, where you can experience a new culture as well as enjoying a stay in a luxurious hotel then how about Sri Lanka? 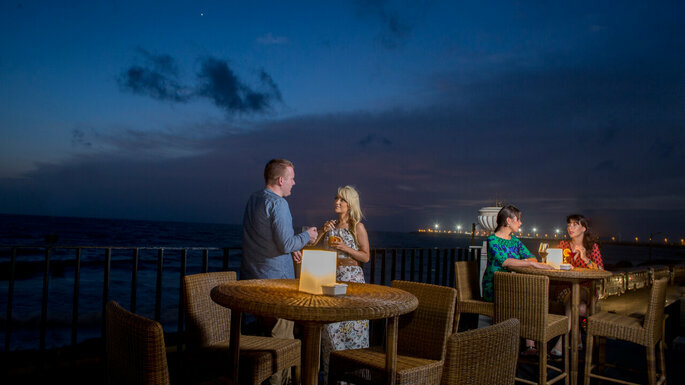 The Kingsbury is the ideal place for your unique honeymoon. 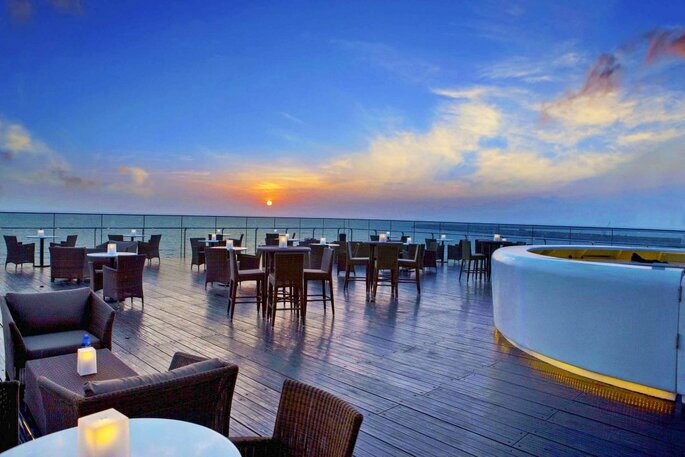 This luxurious hotel is located on the west coast of the island of Sri Lanka. Here the staff strive to ensure that you have a personalised stay, catering to your every need so that you can enjoy a unique experience. More than 200 luxurious rooms are available with stunning sea views! 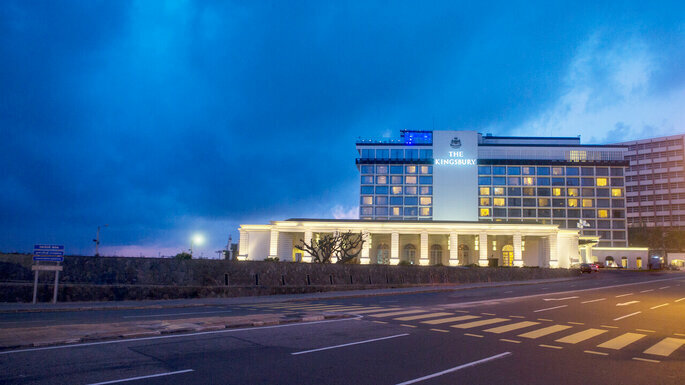 A hotel that is characterised by its elegant, unique and luxurious design. 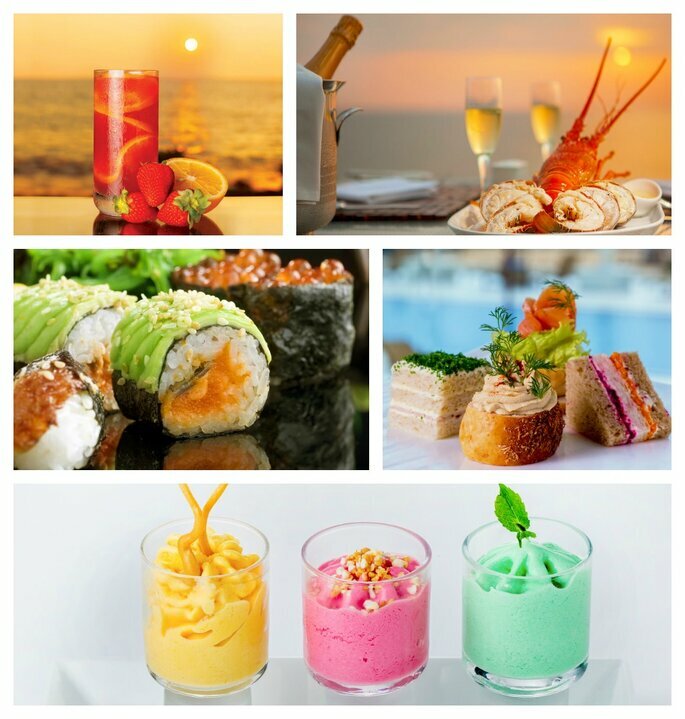 You can enjoy a variety of food and drinks in one of the hotel’s three restaurants, lounges and bars. They’ve even got a rooftop where you can sit back and relax as you sip on a cocktail. It is a truly unique atmosphere. In this wonderful city, you will have the opportunity to visit the National Colombo Museum, the Dutch hospital where you can learn about its great history, Galle Face Green, an ocean-side urban park which stretches for half a kilometre along the coast, the Gangaramaya temple, one of the most respected places of worship in the country, the Independence Memorial Hall, a national monument of Sri Lanka which was built to commemorate the independence of the country, as well as many other amazing sites. When it comes to the culinary experience, you have a selection of some of the most exquisite and exoctic delights at your fingertips. It’s the perfect way to celebrate your honeymoon in style! Enjoy the breathtaking views that this fantastic hotel has to offer, and relax after your big day! 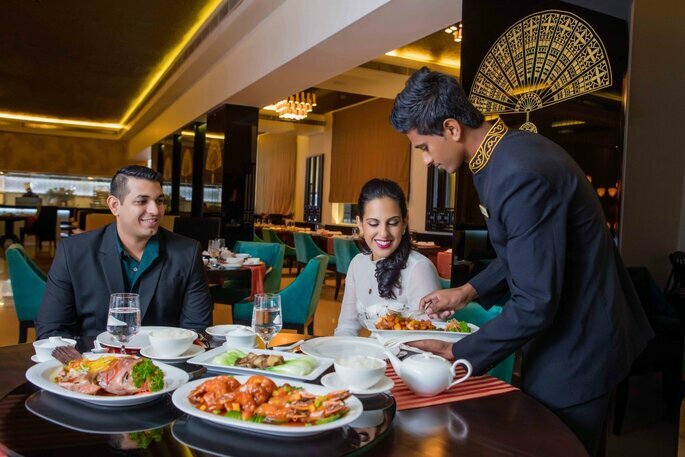 The Kingsbury is the perfect place to experience everything that the Asian culture has to offer. The stunning landscapes, beautiful beaches and welcoming people will make you want to come back time and time again! There’s no shortage of things to do here at The Kingsbury! 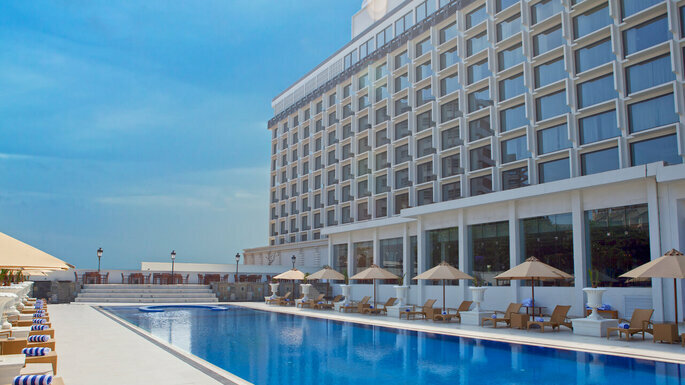 Relax by the pool as you soak up the sun, or enjoy a treatment at the Sense Spa, the choice is yours! It’s sure to be an unforgettable honeymoon here. If a relaxing honeymoon here just isn’t enough, then how about saying your I dos at The Kingsbury? 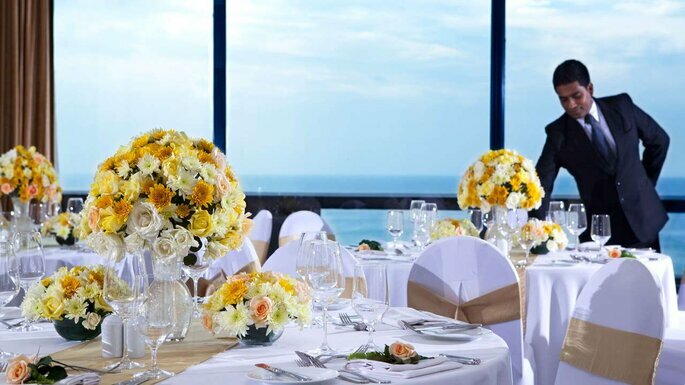 Celebrate your wedding in one of the most romantic destinations; the middle of the Indian Ocean! The professionals here have years of experience in organising weddings, and will ensure that your day is planned to perfection. They will design every detail of your wedding day, exactly to your liking! At The Kingsbury, the wedding planners will work with you to arrange the dates, plan and organise all of the details of your big day from start to finish. From choosing the perfect bridal bouquet, baking your dream wedding cake and creating the ultimate menu. 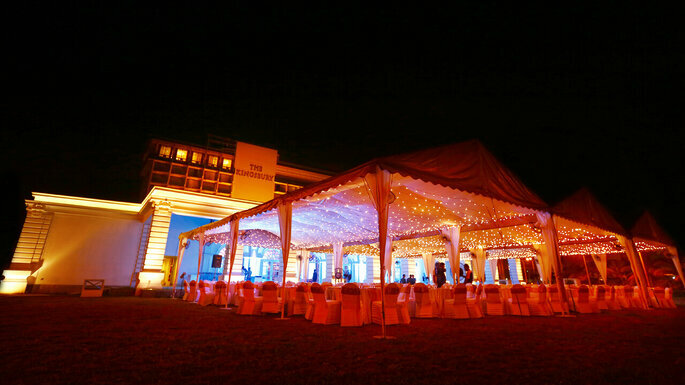 They can even help you to source the best wedding professionals so that your special day runs as smoothly as possible. The Kingsbury will offer everything you need for the honeymoon you’ve always dreamed of, or the perfect wedding with memories that will last a lifetime. What are you waiting for? Contact them now to arrange your stay!